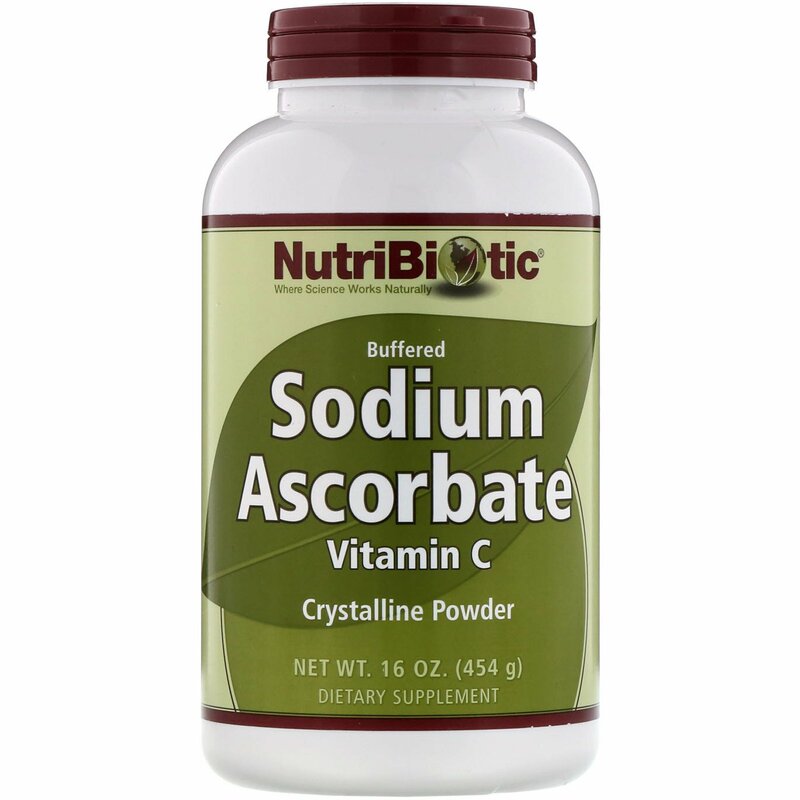 NutriBiotic Sodium Ascorbate is manufactured by dissolving pharmaceutical grade ascorbic acid with sodium bicarbonate, derived from sea water. Sodium helps regulate the amount of water in the body. It also aids the movement of sodium into and out of cells, which plays a critical role in many bodily functions. The sodium in this product differs from common table salt in that it is not combined with chloride, the "salt" most often associated with hypertension. Made without common food allergens such as milk, soy, egg, yeast, and wheat. 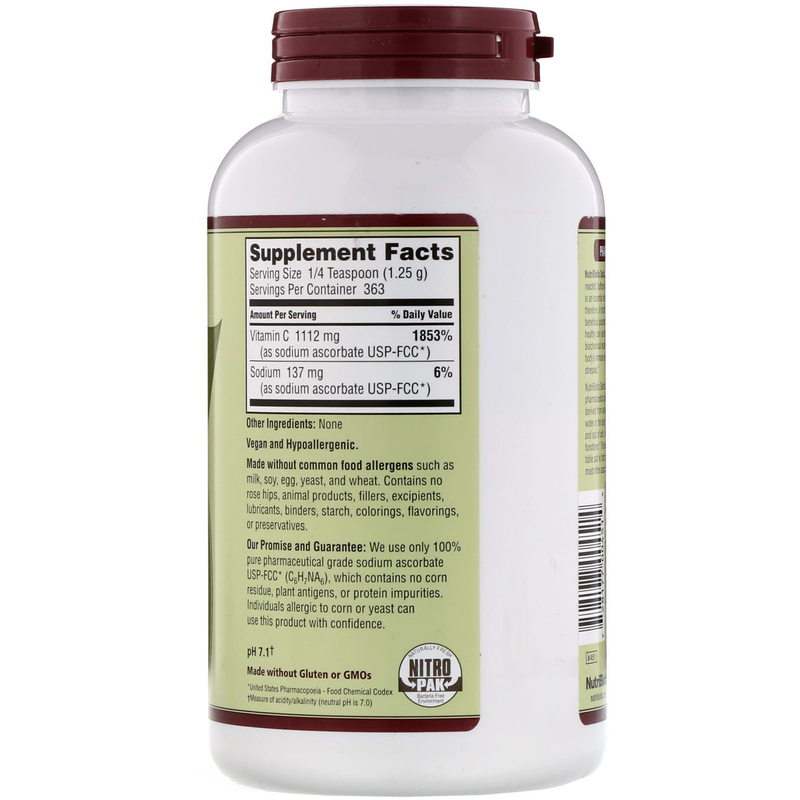 Contains no rose hips, animal products, fillers, excipients, lubricants, binders, starch, colorings, flavorings, or preservatives. Our Promise and Guarantee: We use only 100% pure pharmaceutical grade sodium ascorbate USP-FCC* (C6H7NA6), which contains no corn residue, plant antigens, or protein impurities. Individuals allergic to corn or yeast can use this product with confidence. *United States Pharmacopoeia - Food Chemical Codex.